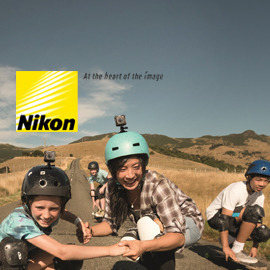 Nikon has always been at the forefront of giving photographers and videographers the tools to capture the most creative and expressive images and videos. Nikon cameras allow them to express their creativity and bring to life their passions in the most versatile way. Nikon believes in enabling creators to share their creativity through storytelling and be a part of the Nikon community. These passionate and creative storytellers are you, who use Nikon cameras and it’s amazing technology to create content. You are passionate, original and a gifted storyteller with a unique vision to share. We want you to tell inspiring stories to ignite other creators to grab their gears and tell their own stories through videos. Nikon wants you to create videos to showcase your ability to push the envelope and explore new creative territories. Can you help create videos to represent the Nikon family and inspire others like you to pick up a Nikon camera and capture their passion?